Here is a painting down on the wall near Honolulu Community College. 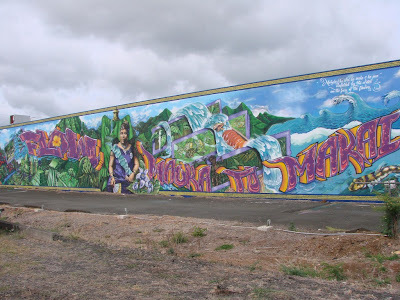 It is entitled “Ola Ka Wai, Ola Ka Honua” which means “When Water Lives, The Earth Thrives” and is presented by the Estria Foundation and 808 Urban. It is #3 in the International #WaterWrites mural series and certainly brightens up the area. We will have a closeup shot tomorrow and talk more about Waterwrites. 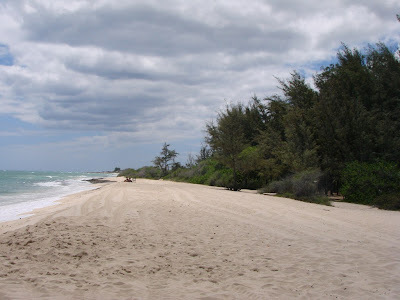 Here is a photo taken out on the Ewa side of the island at White Plains Beach located all the way out near Makakilo. Its not as well known or traveled as other beaches and if you walk a ways up you can find very uncrowded area unless the surf is up. I hope everybody had an enjoyable Thanksgiving weekend. Perhaps your weekend was filled with family and turkey.. and maybe Black Friday shopping then more turkey. 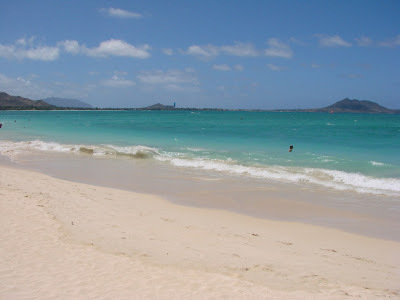 Or maybe some nice time at the beach such as our photo taken at Kailua Beach. To me this marks the start of the holiday season running of course until New Years.